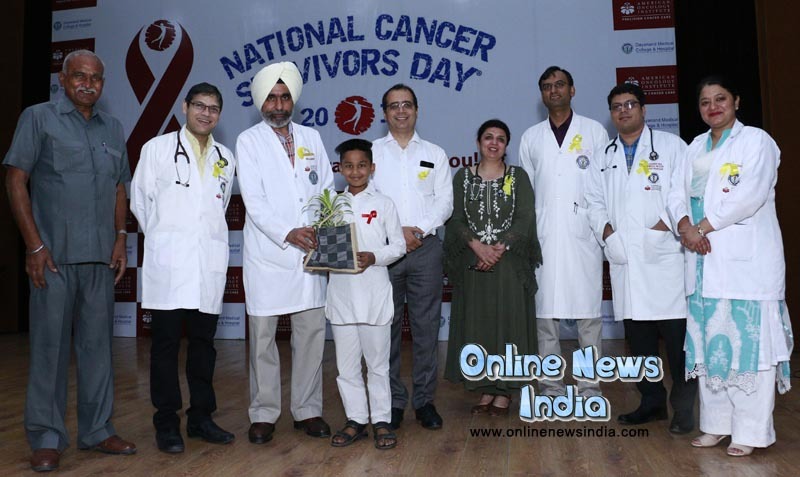 Ludhiana, June 10, 2018 (Rajinder Ahuja): American Oncology Institute (AOI), a US based chain of cancer hospitals, at DMCH today honored the brave spirit of Cancer Survivors on the occasion of the National Cancer Survivors Day, 2018. The event was organized in the presence of Prem Kumar Gupta, Secretary, DMCH, Dr. Sandeep Puri, Principal DMCH, Dr. Amit Dhawan, Facility Director, AOI Ludhiana and Senior Consultants of AOI, Ludhiana. It also saw gathering of several Cancer Survivors, their families and friends, wherein survivors narrated their stories of survivorship and their struggle in the battle with cancer.